Microsoft’s been toying with the idea that a tablet can replace a laptop. They first tried to drive home that theme when they released the original Surface Pro tablets two years ago. With the Surface Pro 2 they mildly suggested that you could perhaps replace your laptop with a tablet. Now, with the Surface Pro 3 on the market you may actually be able to achieve that. The Surface Pro 3 is getting rave reviews getting 4 out of 5 stars on Engadget with an 8.8 from users and a 7.6 from critics. Engadget suggests that it’s close to replacing a laptop with it’s larger screen and thinner frame. However it lacks in battery life compared to comparable products, and ” it needs a better keyboard to truly replace your laptop.” Dana Wollman said. Many of the other tech reviewers out there echo the same sentiments but say the Surface Pro 3 is the closest any manufacturer has gotten to replacing the laptop. The reviews haven’t phased the Redmond giant. There must be something in the water in Washington State as Microsoft has pulled a trick right from the T-Mobile handbook. Basically break up with your Macbook Pro and Microsoft will give you up to $650 towards a new Surface Pro 3. 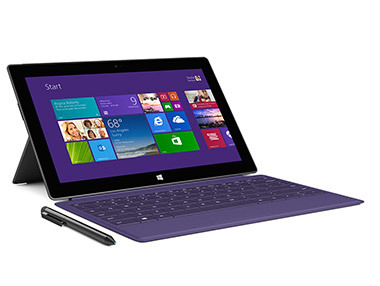 With the Surface Pro 3 starting at $799 that means you could get a powerhouse Windows based tablet for $150. That may be a stretch considering how loyal many Apple product users are. It’s one thing to try and get an Apple user to switch from an iOS device to a competing product but those of us (myself included) in the Apple computer ecosystem may need a little more than an offer of $650 to switch. Geekwire reports that this isn’t the first time Microsoft has tried to lure customers away from Apple. Last year they offered Apple users up to $350 for an iPhone or iPad if they redeemed that cash to purchase a Windows tablet or Windows phone. Microsoft never reported on the success of that promotion, but it had to have done something for them to try again. If you’re interested in the trade deal you have until July 31st to get to a Microsoft store and do it. “Up to 650USD.” That’s the kicker. What if you have a 2011 or 2012 model? 64GB or 128GB? 11″ or 13″?